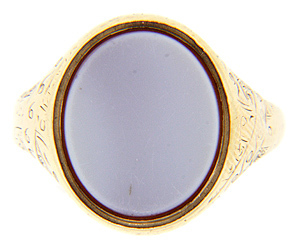 This antique 10K yellow gold signet ring is ornamented with a smooth oval sardonyx top. 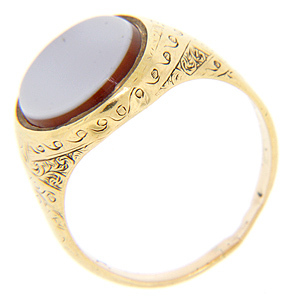 Engraved curving designs ornament the ring’s shoulders and sides. 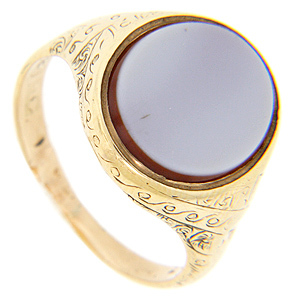 The Victorian ring measures 16.1mm in width. 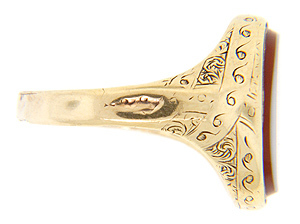 Circa: 1880. Size: 7 1/4. We can resize.